Are you a wizard of CSS? Here are some advanced changes to help tweak your branding. 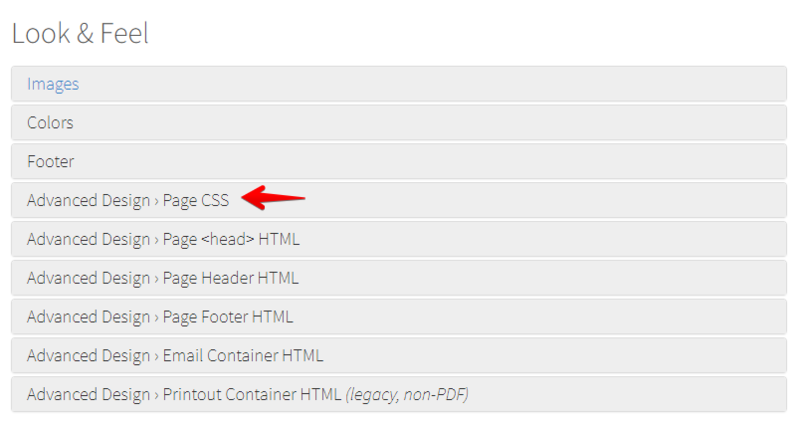 CSS can give you the option to modify the way your Táve looks to your clients. While most of the appearance comes from the inner workings of the software, Táve does allow you to customize the CSS further if you'd like using your Advanced Design Editor that you'll find at the bottom of your branding settings for each brand. Táve is a constantly evolving software, and our CSS is subject to change at any time. This means you'll want to keep eye on things and make sure your code still looks perfect. As wonderful as our support team is, they're experts in Táve, not necessarily CSS, so we do not provide official support for CSS. Any changes you make are done at your own risk and are subject to change in the future. This is applied in the HTML Email tab of the Advanced Design section at the bottom of Branding in its entirety. Then, you'll replace Enter Font Name Here in the 3 places it's mentioned with the Google font family of your choice (in the @import url line, if the font family has more than one word, you'll separate each word there with +, i.e. Adobe+Caslon+Pro). You'll also add the following to your iFrame code where it's embedded on your website: allowtransparency="true"
When creating your own custom favicon, it’s best practice to make it a 32×32 png file. If yours is too large, it won’t work. Your favicon image file can be hosted anywhere online, such as on your website, or anywhere with a public URL.